If you are looking for the best quality Geosynthetic Clay Liner in Maharashtra, then we are a perfect option. Geosynthetic Clay Liner is a fabric-type material which is used in lining applications. Our Geosynthetic Clay Liner has self-sealing attributes which make it popular among the masses. Geosynthetic Clay Liner is a perfect substitute of conventional bottom liners. 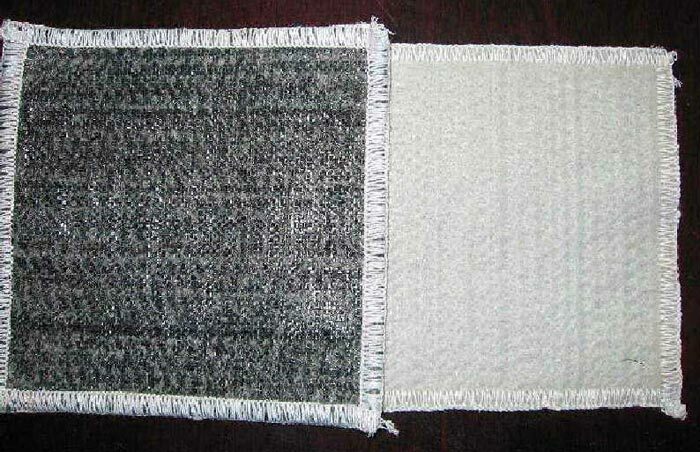 The woven fabric-like material geosynthetic clay linerÂ (GCL) is primarily used for the lining ofÂ landfills . Geosynthetic Clay Liner is a kind ofÂ geomembrane Â andÂ geosynthetic , which incorporates aÂ bentonite Â or otherÂ clay , which has a very lowÂ hydraulic conductivity . The resulting lower permeability slows the rate of seepage out of the landfill.